UTV is a commercial television broadcaster in Northern Ireland owned and operated by UTV Media plc as part of the UK-wide ITV Network. Formed in November 1958 and appointed as programme contractor for the Independent Television Authority soon after, UTV was the first indigenous broadcaster in Northern Ireland and is today available throughout the island of Ireland. Ulster Television went on air at 4.45 pm on Saturday 31 October 1959. The station’s opening was overseen by Lord Wakehurst, then Governor of Northern Ireland, and Sir Laurence Olivier introduced the opening ceremony. The station’s first night of programming, introduced by duty announcer Adrienne McGuill, featured networked series such as The Adventures of Robin Hood and 77 Sunset Strip, two news bulletins from ITN and the 1949 feature film Task Force. Sir Laurence Olivier delivered the station’s first epilogue, an excerpt from Joseph Addison’s “The Spacious Firmament”. UTV HD, a simulcast of UTV in high-definition, launched on Virgin Media channel 113 on 5 October 2010. On 5 March 2012, UTV Media announced it had signed new network arrangements for the provision of Channel 3 programmes and services with ITV plc. Included in the agreement is a deal which ensured the distribution of UTV HD on Freeview when the digital switchover took place on 24 October 2012 and on Sky and Freesat on 4 November 2013. Currently UTV’s acquisition and presentation infrastructure is SD only; all HD content is line-fed to UTV in Belfast from Technicolor Network Services’ transmission facility at Chiswick Park, with UTV’s presentation and local content being upscaled and switched into the transmission chain for UTV HD using a simple A/B switcher. In May 2011, the presentation infrastructure was upgraded to become fully HD-capable in readiness for the digital switchover in 2012. On 4 January 2011, Freeview announced details for the launch of ITV1+1, together with the possibility that both STV and UTV will launch their own timeshift services, STV +1 and UTV +1 in Scotland and Northern Ireland respectively. 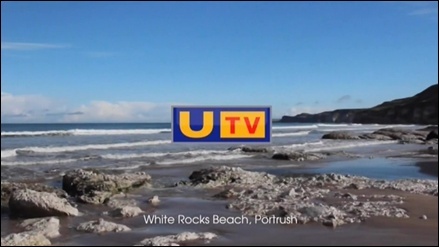 UTV later confirmed that it would launch UTV +1 at 8 pm on 11 January 2011. The channel is available to Freeview viewers on channel 33 and Virgin Media cable customers on channel 114. The channel is not currently available on the Freesat and Sky satellite services.